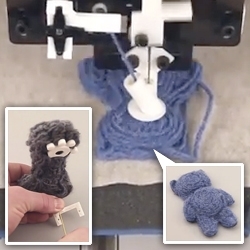 Printing Teddy Bears: A Technique for 3D Printing of Soft Interactive Objects. From Disney Research and Scott E Hudson (CMU HCI) - a process of basically computer controlled felting. Love the potentials of embedded hardware and articulation. See the project paper here.